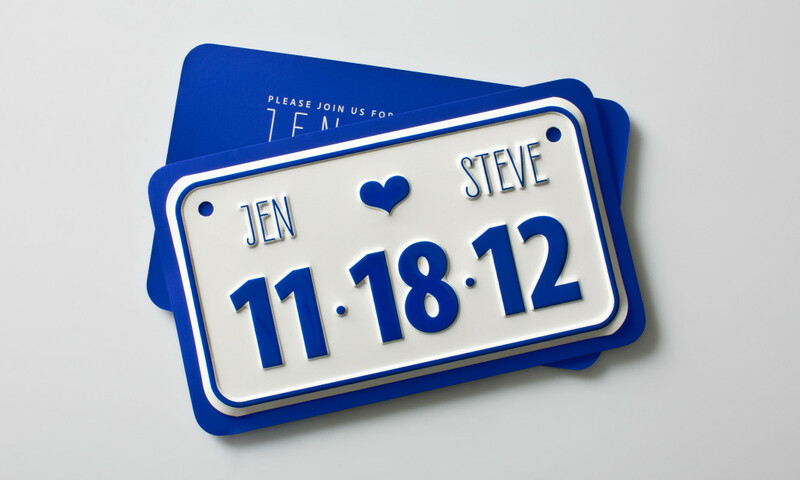 This whimsical license plate save-the-date is mounted to a blue card with wedding details printed on the reverse side. It mails in a heavy weight envelope. 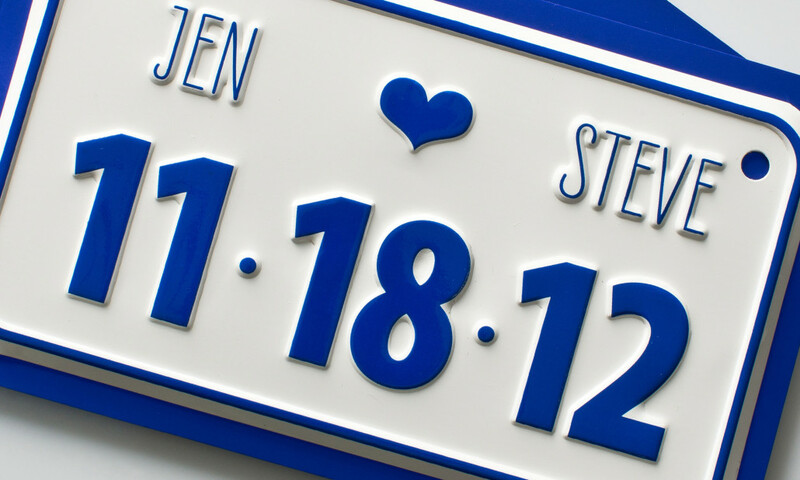 This invitation can also be used for engagement parties, send off brunches or anniversary parties.